Checkout new Snapdeal logo and read about their new campaign. There are 50-60 million online buyers in India currently and for e-commerce to become larger, the next 300-400 million people coming online would be very important... Things like discounts, fast shipping, functional benefits are already there, but going ahead, e-commerce brands will have to stand for something of a higher order. 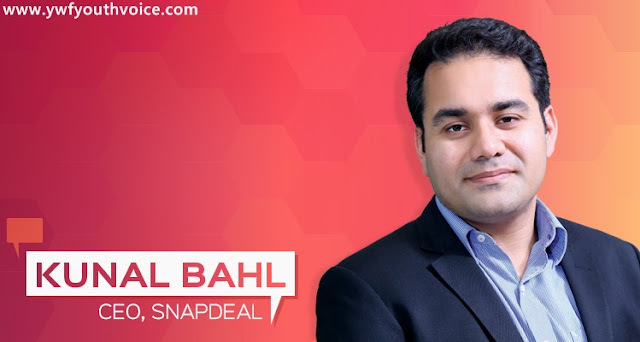 With this new positioning, Snapdeal is focusing on the next phase of growth, engaging with the next 100 million online shoppers, he added. The re-positioning by the company comes ahead of the festive season. Snapdeal, like competitors Flipkart and Amazon, is lining up offers to woo customers to shop on its platform. These companies are also ramping up logistics to ensure timely delivery of packages even at peak demand. "The new positioning is focused on the aspirational India. It is about understanding that each purchase is not just a transaction, but an opportunity to upgrade to a better life as is expressed in the new brand identity — Unbox Zindagi," Bahl said. "I think we have spent Rs 200 crore or north of that in the entire campaign," he said, adding that the overhaul is based on the insights of interactions of key members of its leadership team with existing and potential users in metros as well as cities like Guwahati, Bhopal, Rajkot, Nagpur, Madurai. "Our delivery boxes will be in the shade of red, which we are calling Vermello. The new logo, with two arrows forming a box, conveys Snapdeal's journey as partners and enablers, indicating progress, onwards and upwards," he said.